Gary Meehan was born in Bolton, Lancashire, and was educated at Lincoln College, Oxford, the University of Aberdeen and the University of Warwick. 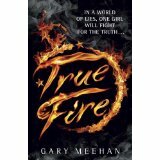 He is the author of True Fire and the forthcoming sequels in the trilogy True Dark and True Power. He lives in Derby with his son, where he works as a software engineer and on maintaining an air of bemused detachment. After a quarter century of writing he really should have come up with witty to put in his bio. 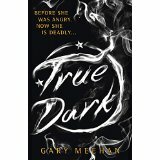 Chat to Gary on Twitter @garypmeehan. Look out for the explosive conclusion to the series, True Power, in April 2016.